Are you shitting me lol. Because devs want you to fight for your 100 tokens. In other words they want you to gem the crap out of your life so you can get 1st place and rejoice in your gemmed glory of a bloodbathed tournament where the one that makes the most attacks is the one that wins . How come they didn't do it like the phenol tournament? $$$. When I left you I was but the learner. Now I am the potato master. Since that day... 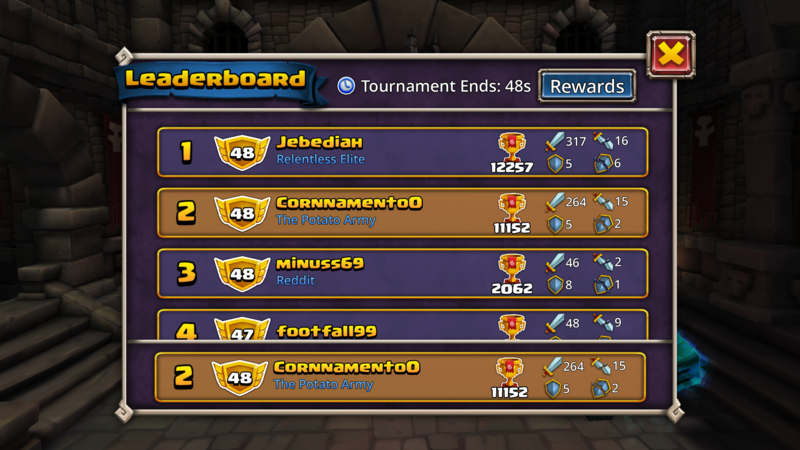 I don't do 100 token tourneys like I normally would. What annoys me is that in my bracket (level 48), the guy I am fighting with has a 6 star Julius already - it is his shared hero in fact so I can see it. Mine is 3 star. I could really use those tokens, and he has no use for them. I happened to have 1000 gems saved up and have been working at it (if it wasn't for him I would easily have 1st), but sure enough he is able to outspend me. I also have a baby at home i'm taking care of, so i'm just giving up at this point. 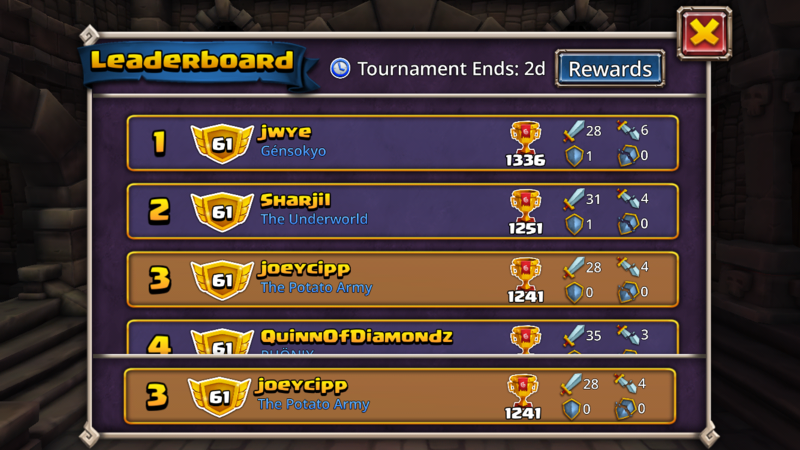 The new tournament rewards...20 Ella tokens? Really? 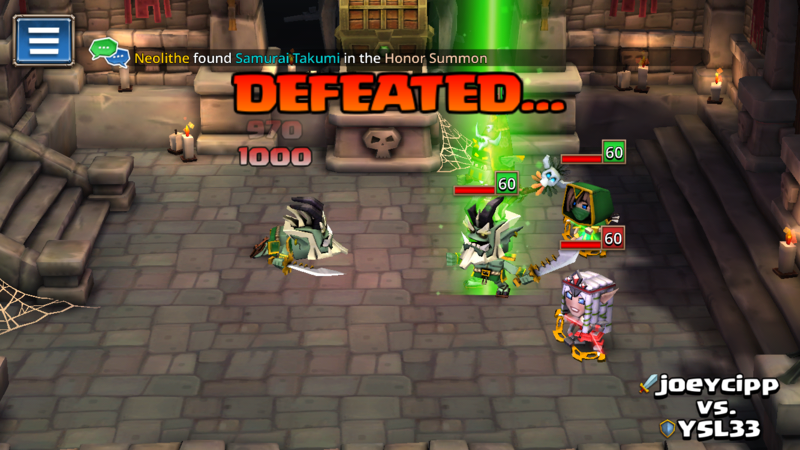 @Zernium The game is telling us to finally rest in PvP after hard gemming in two previous tournaments. 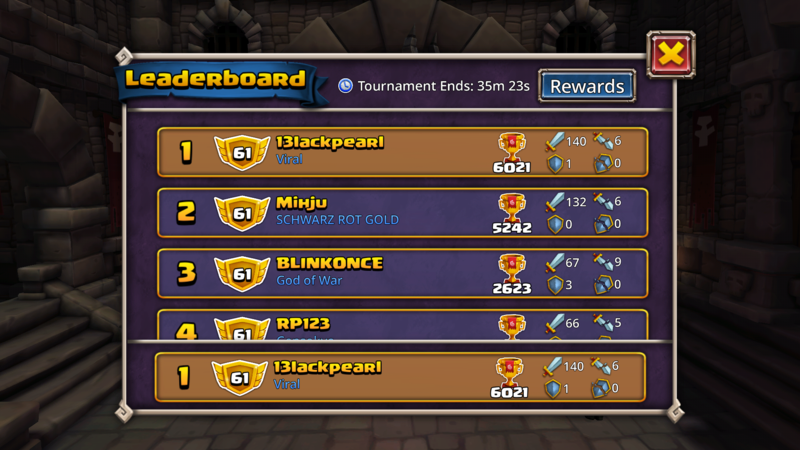 There's always the one idiot in every bracket who gems so hard just to be second. Not necessarily idiot, maybe s/he aiming to get more honor scroll. For example, I always try to get at least 2k reward scroll every tourney since I need 1k per day for gold and around 7k for summon per week. 3. I don't have the time or energy to watch all day and immediately start raiding to avoid it. 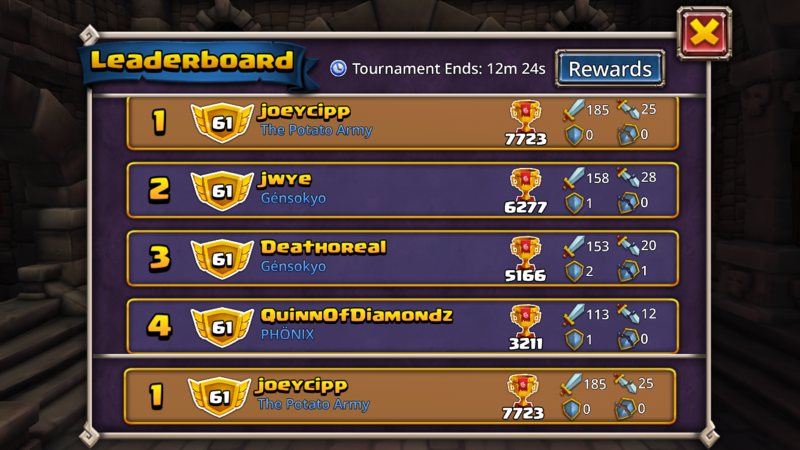 So I am the 'idiot' who had to spam gems for 2nd. 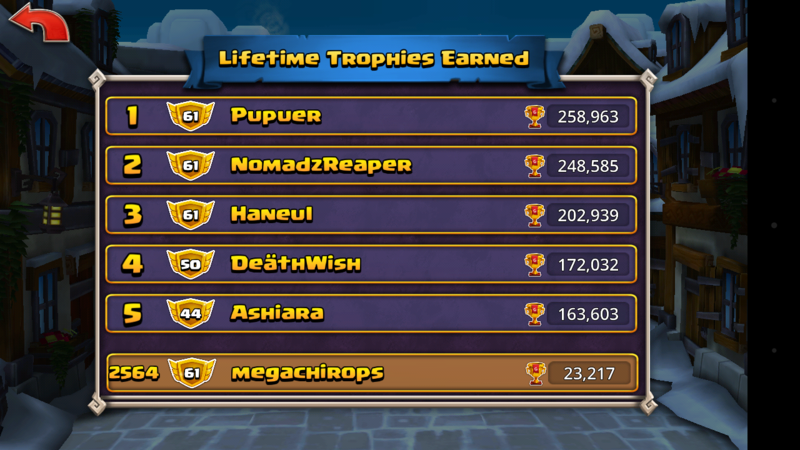 You get the same amount of honor scrolls in 2nd AND 3rd, and you can see that the 3rd place probably spent 400 less gems than I did to reach that spot. There better be some other way to get Ella tokens in the event otherwise what will anybody do with the Ella tokens that aren't multiples of 5. It you are only in the top 100 and get 1 Ella Token then its useless as the only current way to get them is my multiples of 5! and how much gem did u spend? @Nilvlek around 3k. 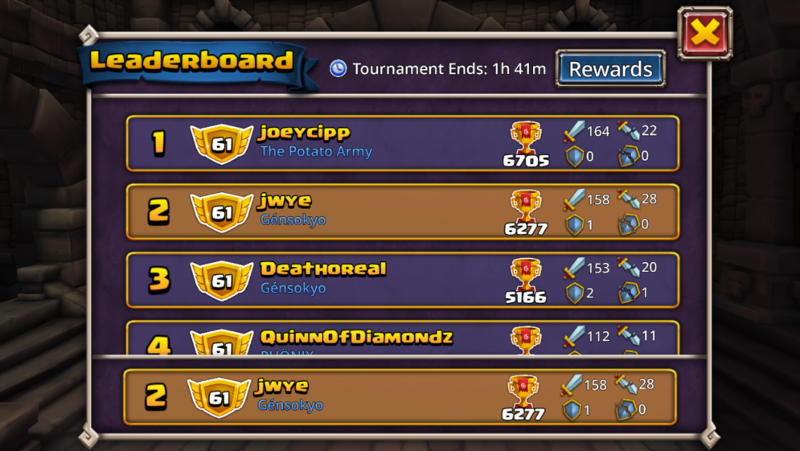 That's about an average weekend tourney though. How much you think this one cost ? 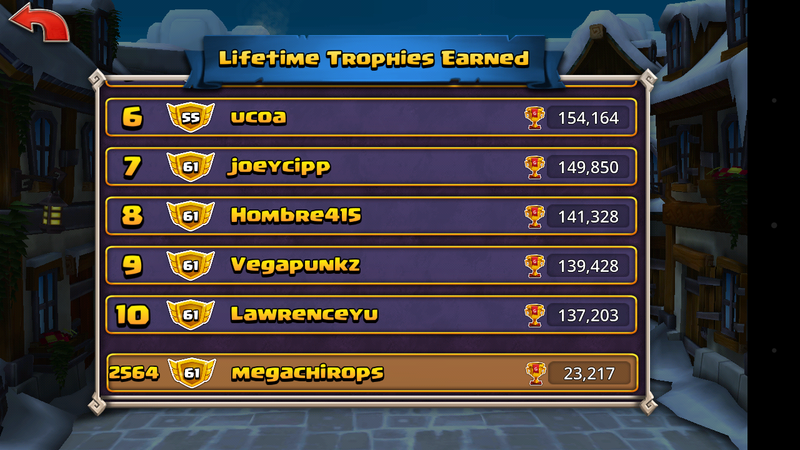 More like if you are max level, you're probably never winning your bracket until they increase the level cap.